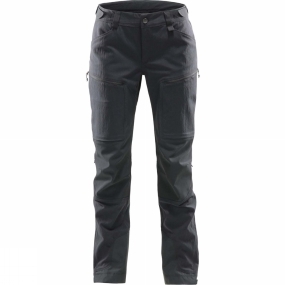 The Womens Rugged Mountain Pant from Haglof are made from tough polyamide fabric and are waterproof to make a pair of pants tougher than most. Fully adjustable for the perfect fit-and letting you make tweaks on the go as you switch activities. Weatherproofed with a fluorocarbon-free DWR treatment for extra peace of mind.